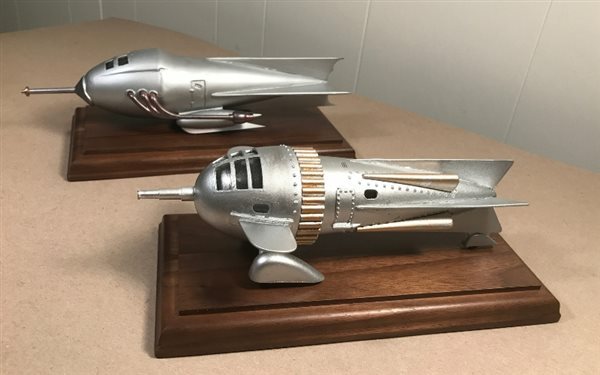 We have a wide range of modelers ranging from aircraft,armor,cars,figures,naval,sci-fi, and anything and everything in plastic,resin and what not. With this group of modelers we have a plethora of skills to share and learn from each member and guests. We Do Not collect dues. We are not affiliated with any other organization. (ie) IPMS, AMPS and such. We were established in 1977 and still going strong. Our main motto is : fun,fun and MORE FUN with less business. We meet at the Harker Heights Activities Center(room D) every third Thursday of each month. Start time is 7:00pm till 9:00pm. Off hwy 190 on Indian Trail Dr, In front of the Harker Heights Police Dept.